I wrote this podcast for Why I Really Like This Book for a miniseries called Fictions about Newspapers. Journalism is something I’ve dabbled in enough to know that I’m no good at it. I can write reviews, but I have no nous when it comes to news, and I am not hard-boiled. But I do like reading about journalists who know how to ask hard questions and can anticipate the value of information received. 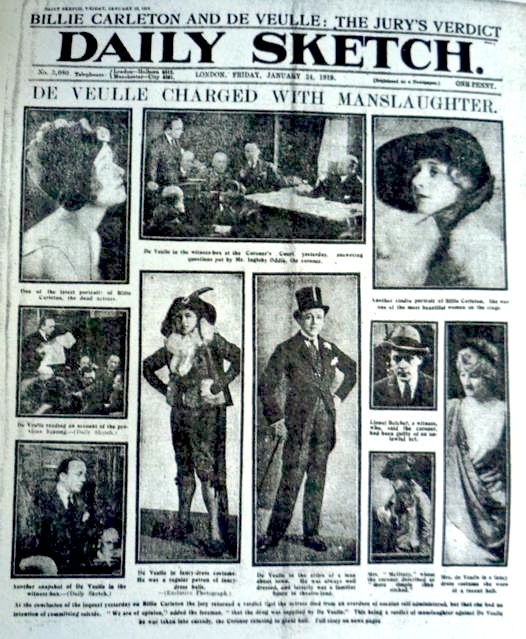 British journalism changed radically at the beginning of the 20th century, with a population growing in literacy demanding more and more newspapers to read. The number of newspapers on the British market doubled during the First World War, and new technology made them easier and faster to read. The practices of gathering news, and what you did with it also changed. This is why I find this novel by Rose Macaulay so enjoyable. Potterism, from 1920, is about arrogance, snobbery and egotism. 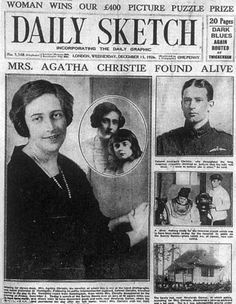 It’s a perfect exposure of a world where writing for the newspapers was simply normal for a certain class of society who expected to have the right to express their views for the benefit of the paying public. This class was, of course, made up of people from the upper classes who went to university (for which read Oxford or Cambridge: no other university, for Macaulay’s class, existed), and who emerged with ideals and expectations quite different to those held by those who bought the papers they deigned to write for. You can tell I don’t like them very much: it’s difficult to like many of the characters in this novel since nearly all of them are satirical portraits created by Macaulay to vent some spleen. She herself was an upper-class, well-educated and well-connected member of the literati, but she never took herself as seriously as the monsters she created in this novel. 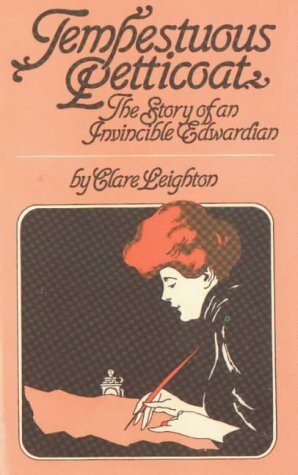 She wrote hundreds of articles and book reviews, as well as poetry and novels, and had earned her living by writing since before the war, yet, or, perhaps because of this, her writing never betrays the pompousness or greed or self-deluding emotionalism in which the characters in this novel are drenched. Mr Potter is a newspaper proprietor, and is the nicest and most admirable character in the novel: hard-working, honest, reliable, and principled. He is married to Mrs Potter, also known as Leila Yorke, for she is a novelist, though she calls herself an artist, and everyone else would call her a hack writer. She churns out the same stuff year after year for a cheerful public who just want to read the same thing book after book. 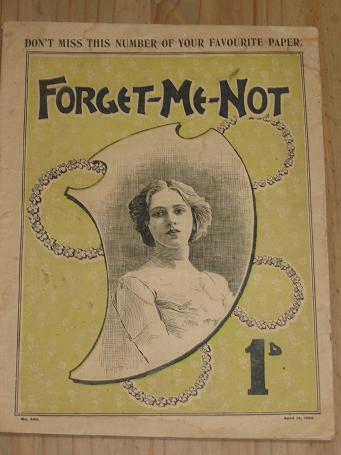 She began her career writing romantic novelettes for late Victorian fiction magazines like Forget-Me-Not, and this is one of the reasons I like this novel so much: Macaulay wraps her invention up in real-life publishing history, since Forget-Me-Not really existed. Mrs Potter is in the ranks of the second-rate and the trashy, whether she likes it or not. She is a crashing snob, and a casual, careless anti-Semite. This unpleasantness emerges quite easily and naturally in her chatter whenever she has anything to do with the Jewish hero of the novel: Arthur Gideon. He is so opposed to what the Potter newspaper empire is doing to the minds of the masses that he sets up the Anti-Potterism League in an idealistic effort to combat what he thinks are their wrong values. Gideon stands for the first-rate and the hard-won-by truths that he thinks the public need to know, whereas Mr Potter is happy to publish the second-rate and the products of sloppy thinking because that is what the public want and will pay for. Gideon follows his dream by setting up his own newspaper, a rival to the products of the Potter empire, called the Weekly Fact, which is just that: facts, and no opinions. Mr Potter knows that it won’t last, because the egos of those who write for it will be lured by more money for writing trash, and will never be able to withstand the temptation to strut about in public. Two of the Anti-Potterism League’s keenest supporters are two of Mr Potter’s own children, the twins Jane and Johnny Potter. This says quite a lot about their characters, for it is a brave thing to publicly deny, and also sneer at and criticise, the works of the business that paid for your education and give you a private income while you’re still thinking about taking a job. These twins are simple and straightforward; they want what they can get, and their lives are constructed about seeing that they get what they want. When Jane doesn’t want to see someone who also visits her friend Katherine, she simply tells Katherine to ask that someone not to visit her any more, so Jane can carry on visiting. So simple, when you have no scruples. After the war ends, Johnny finds work easily, while Jane has to make do with a secretarial job at her father’s office, where she meets the assistant editor Oliver Hobart, with whom her elder sister Clare is in love. Jane hardly notices what Clare might be thinking: she sees Oliver as an opportunity for rising in the world, and decides to marry the important young assistant editor when he asks her. Macaulay is careful to let us know, several times, that Oliver was exempted from serving in the war due to his nationally important work on the Potter press. 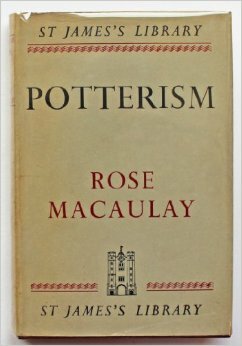 In the work of most novelists writing at this time, this would be character assassination, but with Macaulay, her satire being both so delicate and blunt, we are not quite sure what we are to think of him. It is indicative enough that he is a disposable character. Arthur Gideon is the hero, since he has most honesty and sticks most firmly to his principles. He is also the most interesting character, since he has most to struggle against. His own family, though pleasant, are a mixed blessing, since his father is a Russian Jewish refugee with terrible memories that he won’t tell his son about, and his mother, like Mrs Potter, is a casual blonde English anti-Semite who blithely calls her children Yids, and lazily objects to her daughter marrying another Russian Jew. Outside the family circle, Gideon struggles against lazy thinking and lazy-mindedness, and endures being accused of pushing Oliver Hobart down the stairs because he is shielding someone else. He doesn’t realise that he is loved by yet a third person, because his eyes are dazzled by his own love for someone unworthy. Oh, it’s a tangled mess that he makes of his life, but he is most admirable in his stoicism and qualities of endurance, and in his conduct towards another family of Russian Jews. His missing foot, lost in the war, is barely mentioned, but this is as strongly symbolic of his character – in this period of fiction, any man with a war wound was automatically a hero – as Oliver’s lack of a war record is of his. The Anti-Potterism League fails, in the end, because Gideon learns to like Mr Potter while despising his works, and then events overtake his plans of reforming the newspaper world. But we have not been much interested in the posturing of this self-appointed league of university graduates with more attitude than sense. We are far more interested in the ghastly attitudes and manipulative deviousness of Mrs Potter, who Macaulay satirises by using her diary as a means of telling part of the story. Every half-truth is revealed. Every evasion and self-delusion is set out neatly, and Mrs Potter stands revealed as a loathsome egotist. She talks to a medium about a murder, comes away with a vision of the man she had first wanted to be suspected as the killer, and promptly sets about slandering him up and down the town, based on no evidence at all. She recalls all she has heard of this man in her diary, and interjects slurs and suppositions in between the facts: she really is a writer of fiction, and does not notice or care that her fiction is intruding in real life. Throughout all this, Mr Potter’s papers sell to the public what the public want to read, and do very well out of it, as does he. Gideon’s paper sells facts, and nobody, in the end, really wants to read facts. They just want to read about a bride’s suicide or the death of a baronet. There’s no accounting for taste, only human nature. If you fancy trying a related Rose Macaulay novel after this one, have a go at the savage and bitter Crewe Train. Where Potterism is about newspapers, Crewe Train is about celebrity culture and the gossip that ruins people lives being used for a little momentary gain at a party. People feed off other people in Crewe Train, all for the sake of personal gratification, and to make sure no-one breaks free of this goldfish bowl way of life. Not much has really changed in the London literary world. I can well believe it! I really enjoy reading your blog – I am a huge Rose Macaulay fan myself – but the links to the podcasts are all dead. Any chance of rescurrecting them again? I’m sorry, I decided some months ago not to renew the podcast domain name as the pods were not attracting much traffic, and I hadn’t updated them since (maybe?) 2015. But I’ve reblogged all the podcast scripts on the blog, so you’re not really missing anything!